Enjoy Blue Dragon Vietnamese Spring Roll Wrappers. 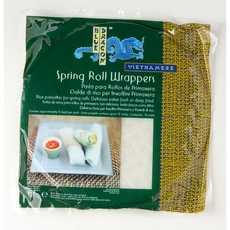 Blue Dragon Vietnamese Spring Roll Wrappers Are Delicious Filled With Your Choice Of Vegetables, Meat Or Seafood. Serve Fresh Or Deep Fried With Blue Dragon Nuoc Cham Dipping Sauce Or Blue Dragon Sweet Chilli Dipping Sauce. (Note: Description is informational only. Please refer to ingredients label on product prior to use and address any health questions to your Health Professional prior to use.